Marketing your physical therapy business doesn’t rely on producing creative brochures alone. It also depends on how you treat your patients before, during and after each visit. Nitin Chhoda shows how treating your patients can make or break your practice. Most healthcare practice managers think of physical therapy marketing as something they buy. You can hire a physical therapy marketing professional to handle your advertising and published materials. You can also ask them to research competitors and find ways to incorporate successful competitive messages into your marketing plan. But physical therapy marketing is also something your practice does whenever anyone has contact with a patient. The overall impression that patients have of the entire practice is what will determine whether or not they’ll come back. You probably have a pretty good idea of how important professional referrals are to your practice. If you work with a few other, complementary practices, you probably have a consistent stream of referred patients. But there are other physical therapy marketing referrals that happen all the time, and you may or may not even realize how much of a difference they are making. Personal referrals from current patients to potential patients are very powerful physical therapy marketing plan. In fact, it is worthwhile to think about the potential patients when making decisions about how to run the practice. What do you want your patients to say about the care they receive when they come to your practice? As an example, on a Facebook feed a friend wrote about her dentist. She said they take very good care of her, have a very comfortable waiting area and even some other perks. She looks forward to going to her dentist. If all 800 friends of hers saw that post, a percentage of them will actually take action and check out that dentist. How many people do you know that say they look forward to going to the dentist’s office? It’s the same thing when it comes to your physical therapy practice. Having a great physical therapy marketing should always consider the word-of-mouth referrals. You want this kind of referral to be a physical therapy marketing tool that works for you. It can just as easily work against you, with people complaining about long waiting times, rushed appointments, and disorganized offices. Making a good impression is marketing at its most basic. Another critical part of your physical therapy marketing plan will be the follow-up after appointments. Take every opportunity to learn from your patients by asking for feedback in a few different ways. Have a comments box in the waiting room, communicate via email when scheduling future appointments, and periodically send a card to ask patients how they feel about their experiences in your practice. 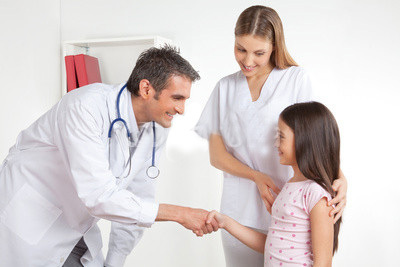 Your patients should feel that they are cared for, that their clinician is not just doing their job, but is someone they can rely on to communicate with them and educate them about ways they can stay healthy. Rather than treating a visit to your practice as a burden or because there’s something wrong, a visit should be a simple check-up to make sure things are going okay. The best physical therapy marketing you do will be to frame the work you do in a positive light, communicate messages that inform patients about how your practice wants them to feel good, and ensuring that the experience is always refreshingly honest, open, and relaxed.